India is well known for its veritable source of talent. Highly skilled technicians and medical experts, all at a very cost effective rate is the specialty of the Indian Health Care industry. Increased liberalization has uncapped the potential of the private entrepreneurs, who have shown remarkable progress and competence in incorporating the developed world’s protocols, guidelines and standards of practice. India is also well known for its hospitality. We are known to care and serve with a smile. We treat our patients as our guests and treat them with utmost love and respect. We ensure that their stay is comfortable and pleasant. The benefits of the exchange rate and the low cost of living make the Aesthetic surgery services in India very affordable and value for money. International Help Desk at Aesthetics Medispa is geared to welcome you and help you to understand and seek the best treatment options available.Our executives are well trained and can help you deal with the stressful experience of seeking medical treatment for you and your loved ones. We will provide you End-to-End Service as well as give you full assistance right from the airport pick-up to drop. U.K. 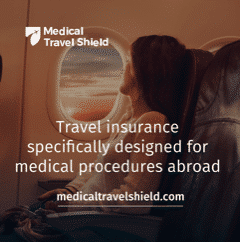 Patients, check out Medical Travel Shield for your medical travel insurance needs. Please send email queries along with photographs to [email protected] Dr Ashish Davalbhakta, our chief consultant Cosmetic surgeon and director answers all queries and advises on the most suitable plan for treatment. A preliminary estimate of the cost will be worked out. The Post treatment course will be told to you and how many days we feel you should stay in Pune will be decided at this time. Once a treatment plan is made, we will ask you to send your medical history, including the past treatments, operations, allergies and medications. If possible, we would like you to do pre operative fitness investigations to ensure that we do not face any cancellations due to your prior health issues. You can also take an appointment by calling +91 20 25670500. Our outstation patients can get all their queries solved, before coming to the clinic through online consultation or a concall. Send us a SMS if you wish to have a concall consultation. We try to respond to all e-queries within 48 hours. Depending upon the nature of the query, the response includes the treatment Plan, advice on the Medical Procedures to be undergone here at Aesthetics Medispa and the Quote for the same. We can also arrange a Video Consultation with Dr.Ashish Dawalbhakta, if required. We formulate your travel plans in such a fashion that it ensures patient’s shortest possible stay in India. It is strongly recommended that Patients from abroad, come on a medical tourist visa, to avoid hassles with the immigration authorities. We can send you an invitation letter to help you get the medical tourist visa easily. It is recommended to fly in to Pune Airport preferably. The second preference would be Mumbai. The travelling time from Mumbai to Pune is three and a half hours. We can suggest few websites which sale discounted air tickets to India. We can help arrange patient’s accommodation in a hotel or in luxurious guest rooms as per your budget. Some of the hotels with whom we have negotiated special discounted rates are mentioned below. We recommend that you get dollars or pounds or traveller cheques and some cash with you. Please get it converted to Rupees at the airport. This will help you pay off taxi or vendors for small restaurants or food stalls. Rest of the payments at the Medispa can be done either in cash or Card. However, wire transfer well in time is preferred. We can arrange for your accommodation in well-rated hotels or in luxurious guest rooms as per your budget. 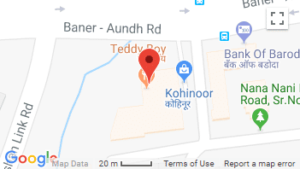 ramee-grand-hotel-pune.html Plot No. 587,CST No. On your arrival, you will be received at the airport and will be directly taken to the hotel or hospital as per the admission plan. The airport pick up and drop facility is absolutely complementary from our side. Once you confirm your arrival via mail, well in advance, your appointments are fixed accordingly before you reach us so that you need not wait for the appointments. Almost the entire staff can communicate fluently in English. We can arrange for Interpreters or translators on demand for those patients who find it difficult to communicate in English. You may have to let us know if you require these special services well in advance. 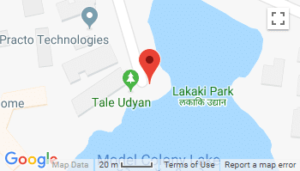 We also arrange local SIM card and mobile phone during your treatment period, and once it is done you would need to refund the SMI card/ Mobile Phone. The Hospital accepts payments through Credit Cards(Master or Visa), Wire Transfer and at the time of discharge the Final Bill reflects the Conversion Rates of Foreign Currencies to INR as on the date of Conversion. If you are looking for local transportation we can arrange paid taxi services with our partner travel agencies. We can arrange a special sight seeing tour for patient and attendants as per their request.